If you can never seem to find a lotion that suits your skin type, try making some lotion yourself using one of these recipes. It's a lot easier, and a lot more fun, than you may realize! Aloe vera is a long-time favorite for soothing skin. Combined with a little lavender oil, you get a light and lovely, fragrant lotion. Using a double boiler, warm the aloe and rose water together, stirring gently until they blend completely. Remove the top of the boiler from the heat, and set the mixture aside to cool to lukewarm. Stir in the lavender oil, and pour the mixture into a glass jar and seal the lid tightly. For light moisturizing, just rub on a small amount. For deeper moisturizing, use more, and then rinse off the excess with warm water and pat your skin dry. The milk and honey combination, with the added benefits of chamomile and sweet almond, makes an irresistible lotion you'll want to use often. Warm the milk slowly using a double boiler, and take care not let it scald. When the milk is warm, remove it from the heat, pour in the chamomile, and cover with a lid. Let the mix sit for about an hour. Line a sieve with a coffee filter, and pour the milk through it into a glass bowl in order to remove the chamomile. 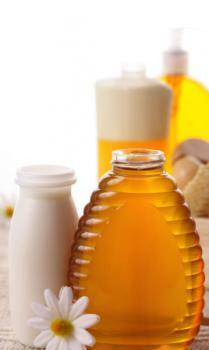 Gently stir in the honey, sweet almond oil, and contents of the vitamin E capsules until blended well. Pour the mix into a glass jar, seal the lid tightly, and store in the refrigerator. Shake this lotion well before using. Apply to your skin and let it sink in for about 15 minutes. Shower it off with warm water, and see how smooth your skin feels. The cool tingle of peppermint oil makes this lotion invigorating. Slowly warm the lanolin and sweet almond oil in a double boiler, stirring until blended well. Stir in the water until completely blended. Remove from the heat, and let the mixture cool for about 15 minutes. Stir in the peppermint oil, pour into a jar, and seal the lid tightly. This lotion is especially useful on feet, knees, elbows and any place where you have especially dry skin. Just rub in a small amount of lotion on these areas and leave it, or use more for a deeper moisturizing treatment before you shower. 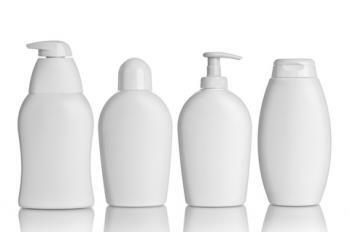 You can make unscented lotion, but most body lotion recipes call for some type of fragrance. 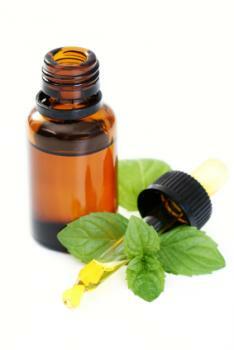 Essential oils are the best choice as long as you use a carrier oil, such as sweet almond or olive oil, to cut them. They are highly concentrated, and some offer aromatherapy and therapeutic skin benefits. In comparison, products labeled as fragrance oils are made with synthetic substances. They don't offer the therapeutic benefits of essential oils, and they're not all safe for use on skin. Be sure to read the label carefully before substituting any fragrance oil for the essential oils called for in a particular lotion recipe. Since it is possible to develop an allergic reaction to the oils in your lotion, it is best to perform a skin test before you make your lotion. 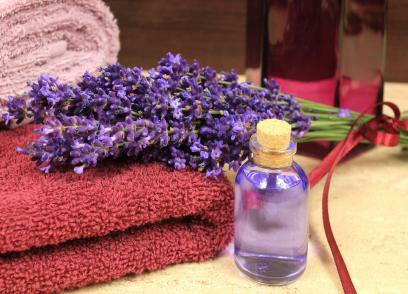 Rub a little of your carrier oil on the inside of your elbow, and then apply a single drop of the essential oil. Check the site in an hour to see if any irritation develops. If you don't experience any problems over the next 24 hours, go ahead and mix your lotion. If you do develop a rash or other symptoms, call your doctor. This skin test is also a good way to see how well you like the fragrance of the essential oil you've chosen. Since scents react differently once applied to the skin, give the test spot a sniff after checking for irritation. If you don't like the scent, try a different essential oil. You should be able to purchase all of your lotion ingredients locally at your nearest health food store, but supplies are also available online. Bulk Apothecary carries a line of high-grade essential oils, carrier oils and more, plus containers in case you want to package your lotion in something a little fancier than a glass jar. Spa from Scratch sells essential oils manufactured by Ancient Healing Oil, which meet their standards for quality and purity. They also carry a nice variety of carrier oils for your recipes. Some recipes produce a heavier lotion, while others produce a lighter product. Each can be useful depending on just how dry your skin is. Try each of the three recipes above, and see which one suits your needs the best.